Sales call best practice is a tough one. 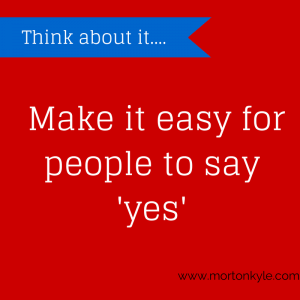 The very essence of being a great sales person is that you know how to interact with decision makers. You build rapport easily. You’re confidently able to challenge thinking respectfully as well as encourage senior buyers to open their mind to new ideas. You can influence and persuade at the highest level. And none of those skills come via any tick sheet. So, just consider this as a gentle reminder, or if you’re new to sales, an insight into your buyers thinking. Sales call best practice is something great sales people understand intuitively, but it can still be developed. 1. Your buyer doesn’t hate all sales people. Just the ones who waste his time on pleasantries and stupid questions. The buyer is busier than a very busy person. He needs you to respect that, and tailor your approach accordingly. So when he does spend time with you, get to your value laden point quickly. Sales call best practice relies on you having a foundation, knowing what a good sales interaction looks like versus what a bad sales interaction looks like, and being able to switch when things don’t go to plan. Some of the key elements of that it your mind set, your energy and your level of motivation. If you think your buyers hate you, and that’s the reason they’re pushing you for discounts or not returning your calls, then get some time with a sales coach, your mentor or your boss and talk this out. Buyers don’t hate sales people, good buyers know that a good sales person will help then do their job better. Some sales people start off on the back foot when the conversations get on to price. Primarily because they don’t believe their own sales pitch, the minute price is mentioned the sales person gets defensive. So, what does this make the buyer do? It makes him question what you’re trying to hide, why you’ve suddently gone all earnest and therefore what he’s missed. In reality a buyer is as concerned about value and risk as much as he is concerned about price. Don’t be the sales guy that gets defensive, focuses on price, panics, discounts, then stalkers the buyer. Instead, have some pride in your price. Never give a price until you’ve been able to demonstrate value. Relate any price you do give back to the value the buyer will get and the risk it will remove, and the problem your solution will solve. For a buyer, price is just one of the jigsaw pieces, don’t be the sales guy who makes the buyer think you have something to hide by making it the only jigsaw piece. If you can’t be proud of your price, your value and your solution…why are you still working here? You know the type, the sale person who infers the buyer has only ever made poor decisions, and the buyer should thank his lucky stars that he’s now speaking with an expert. So, to avoid this, next time you’re trying to engage the buyer remember that prescription before diagnosis is malpractice, so instead of questioning the buyer’s judgement, how about you ask a few questions so you understand his decision making process, his buying process, and his reasons. Might be a great start, before you start pitching in with your ‘saving the world’ solution. There is no quicker way to identify yourself to the buyer as a fool than to go down this route, but then I guess if that’s the case any sales call best practice has totally passed you by. 4. He wants a peer to peer exchange with you, not a sales pitch. If you have a lock, load, release type sales pitch when you meet the buyer that’s a disaster. And you’re begging for a fast decision that’s likely to be NO! So, instead of blowing the deal before it starts, how about asking some big open questions? Or maybe giving your buyer a 30 second run down of why you thing he needs to speak with you. Maybe you’d gain some brownie points by telling the buyer this might not be for him, but you wanted to give him the opportunity to make an informed decision, rather than make an assumption? Sales people often think this is a buyers first concern, actually it’s not. Well not all ways anyway. Quite often the buyer is wondering if the sales guy can be trusted, if he knows what he’s talking about and if, in the vent of their being a problem, the buyer can work with the sales guy to work it out. Secondary to that the buyer might be wondering if the sales person would be a good person to know, if he’s experienced, and if he’s not just shifting orders but interesting in delivering value. So, let’s put it this way, your product, service is often not as important as the person selling it! They’d be mugs if they didn’t. So they will see who else is claiming to do what you do. That’s a given. So next time, why not help your buyer and tell him who you share some of your competitive space with. Note, I didn’yt say who your competitors were, because, if you are genuinely offering the value you should be, then you won’t have competitors, you’ll have ‘wannabee you’ shadows, the aspiration crowd who haven’t quite reached your level of excellence. So, point your buyer in their direction and give him a summary of their strengths and weaknesses, prompt him regarding what questions he might want to ask them. 7. Your buyer does hate it when you don’t do your research. If you want to let him know you think his business is low level and not worth your effort or your time then try this. Engage with the buyer without having done any research on his business, his sector, the market conditions, his competitors, and then see how far the conversation goes. So, don’t be the random cold calling sales person, just getting high talk time and dials in, spend some time thinking about how you’re going to net the great prospects by working smarter. 8. He wants a win-win. Most buyers aren’t out to fleece you. They want a fair deal. For the both of you. So, the quicker the you show him where the win is, the quicker he’s on board. So, be ready with the sales ROI outline, case studies, testimonials, references and social proof. That means when he says he needs to talk to his team, that’s exactly what he’s going to do. Does that mean you have to fall for that old sales fob off – ‘I need to talk to my team? Of course not. Instead understand that whilst he may have the final say, he probably will need to check in with the implementation guys, the users, the compliance team, the IT guys…all depending on what you’re selling. So next time, when you’re talking with the buyer, how about you find out who else is in the decision making process and make friends with these guys too. Spend some time talking to them to understand what their needs are, what their thinking is and what buying criteria they will use to decide if you’re in or out. Sales call best practice means yuo don’t get caught out when the buyer goes to his influencers and users and finds out they’ve already decided what solution they want…and it isn’t yours. Do your back up work early on. 10. Buyers expect you to profile them. That means they expect you to ask if they are the decision maker, if they have the budget to make the purchase, if they have the authority to say yes and if a time table has been agreed. They expect you to ask them these questions, because they know this is your job. A serious buyer won’t mind you asking. You should also know that if you don’t ask these questions, then your serious buyer might not take you so seriously. So, don’t be afraid to BANT. If you’re dealing with professional buyers (in line with sales call best practice) then this is business as usual. 11. It’s ok to set an agenda of expectations for every stage in the sales process. in fact, if your sales calls are seemingly a tad random, then you might want to revisit your sales call best practice. Your buyer knows that it’s you job to keep the sale on track, so he’s ok with you calling up for a very specific reason, he knows you’re not calling up to touch base or to shoot the breeze. So, when you ask him for a date to call back on a critical decision, he’s ok with you referencing that on your next contact. This is a win win remember. So if you’re doing your job and keeping the sales process on track then that;s one less think for the buyer to worry about. 12. The buyer doesn’t mind sharing his buying criteria with you, or his decision making process. But he does expect you to ask. He’s not always going to volunteer. The buyer knows once he’s shared that information with you, you both have a common road map, and you’ve both established trust. He is interested in benefits. Don’t forget your buyer will probably have to go and sell your product/service to another team of buyers internally. Make it easy for him to convince them. Give him all the red sparkly ammo he needs to get a rousing standing ovation because he found such a great supplier. 14. Your buyer expects you to be direct. Want to know something – ask. Need to share something – share. No-one has enough time for you to waste. Cut to the chase and don’t apologise. 15. Your buyer expects you to make him look like a super star! This has to be the cornerstone of all sales call best practice. You really need no explanation for this on…but if you do, then here it is. Your job is not to put the buyer in a position where he has to apologies for you. Where he has to justify your actions. Or explain why and how you’ve let the business down. Your buyers brand value, his personal stock value, should increase as a result of him banging you to the table. 16. Sometimes your buyer just expects you to just shut up and listen. After all, you’ve asked all those great questions. So listen. Plus, it’s the ultimate respect you can pay your buyer for extending to you the opportunity to talk/meet. He’s sharing with you because he hopes to get some value back. So listening is a must. Trust me, a buyer who doesn’t feel listened to, won’t be sold to. Don’t be that sales guy. 17. Your buyer will give you all the information your need to close him – Curiosity will get you further than you think. I’ve seen sales people with very little training close huge deals. I’ve seen very experienced sales people fall at the final sales hurdle. Sales people go through peaks and troughs, losing deals they should have won, and then being unexpectedly been give a gift of a sales order. Life is like that as a sales person. So, when you find am element of sales call best practice that is an absolute. A classic cornerstone of your trade. It never goes out of fashion, just like listening, no one ever lost a deal because they were too curious. Too jaded, already got the answers, I’ve heard it all before….get rid of this mind set if you’re serious about being a high performance sales professional. Your buyer has all the information you need. It’s all inside his head. All you have to do is to get him to share it with you. Your buyer is not your enemy during the sales process, he is your closest ally and you are his. Or it’s a no deal. Remembering best call sales practice might help you decide what to do and how to behave with your next sales prospect. Reviewing your personal sales call best practice is a critical skill. It takes honesty and self awareness to be able to reflect and in doing so change your patter. Being able to do this will help you understand where you’re viewing yourself in relation to your buyer, and just remember, you are never any higher or any lower than your buyer, you’re in this together. 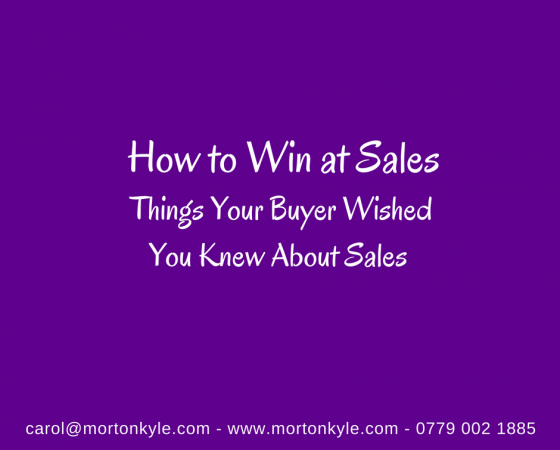 Plus, sales call best practice allows you to revisit the very basics occasionally, perhaps where your not getting the results you want, a key sale is stuck or you’re repelling more buyers than your attracting. p.s. 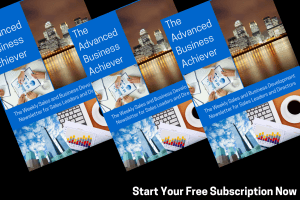 To receive free sales and business development insights straight into your inbox every week, register for your free subscription to The Advanced Business Achiever. And if you’re unsure how to fully release all that sales potential that’s wrapped up in your sales team, but don’t know where to start, then talk to us about our Sales Insight Audit. Sales call best practice is one of the most important foundations of good sales efforts, dictating how you present yourself, how you interact with your prospects and how your brand is perceived by your target sector. This entry was posted in Blog, Sales Audit, Sales Coaching, Sales Training, Selling and tagged B2B Sales Training Courses, Buyer Interactions, Remove term: Sales Call Best Practice. Sales Call Scripts Sales Call Best Practice, Sales Call Scripts, Sales Call Structure, Sales Presentation. Sales Interactions. Bookmark the permalink.